This documentation will guide you through all the various settings available in the Themify framework's Styling panel, and will cover all the different options available. We will be using the Basic theme as a base for this documentation, other themes may have different elements, however most will have the following settings available. 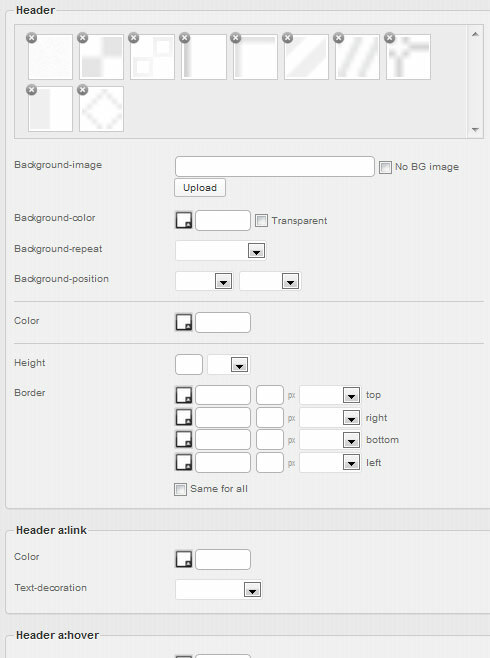 The Background tab of the Styling panel is for adding images and setting the color of the various main blocks of the layout structure. The background areas may vary based on theme, but the structure shown above is present in Basic and many of these are customizable in other themes. Properties present in the Background tab are covered in the Styling Properties - Background section. The Body Font tab of the Styling panel is for altering the main body font of the theme, this is the main font style that all other text elements will inherit from. Some of these settings will be overridden in other styling settings, such as post titles, etc. The above is an example of the body font, however all text elements may inheret attributes set in the Body Font tab. These are properties applied to the body font as standard. These are properties applied to the body font when a link is shown. These are properties applied to the body font when a link is hovered over by the user. Properties present in the Headings tab are covered in the Styling Properties - Fonts section. 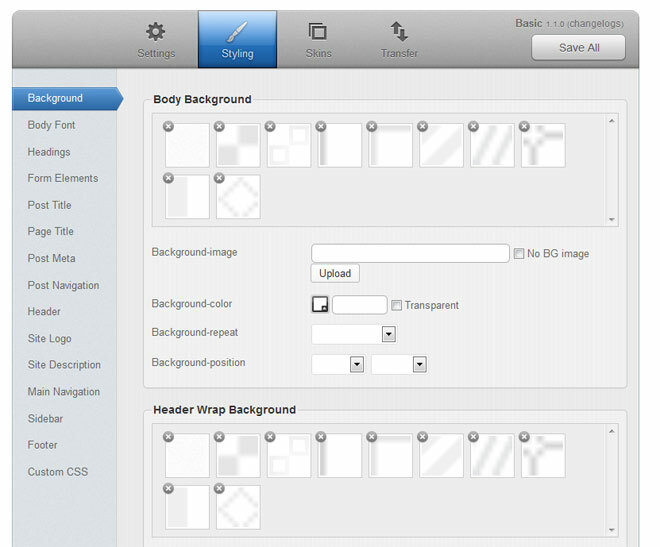 The Header tab of the Styling panel is for applying styling to the site header. These are properties applied to the base header element such as background, font color, height and borders. These are properties applied to the links within the header element. These are properties applied to the links within the header element when they are hovered over by the user. Properties present in the Header tab are covered in the Styling Properties section, using elements from Background, Fonts, Borders & Spacing, and Width & Height. The Site Logo tab of the Styling panel is for setting and applying styling to the site logo. These are properties to set the position of the site logo. These are properties applied to the site logo. These are properties applied to the site logo when it is hovered over by the user. Properties present in the Site Logo tab are covered in the Styling Properties section, using elements from Fonts, Positioning, Display, and Width & Height. The Site Description tab of the Styling panel is for applying styling to the site description. Properties present in the Site Description tab are covered in the Styling Properties section, using elements from Fonts, and Positioning. The Main Navigation tab of the Styling panel is for applying styling to the main navigation menu. 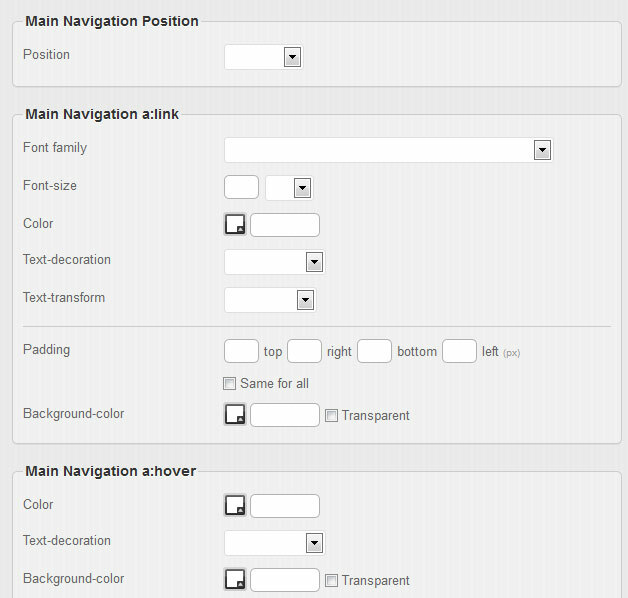 These are properties to set the position of the main navigation. These are properties applied to the top-level links in the main navigation menu. These are properties applied to the top-level links in the main navigation menu when they are hovered over by the user. These are properties applied to the current active page links in the main navigation menu. These are properties applied to the current active page links in the main navigation menu when they are hovered over by the user. These are properties applied to the main navigation dropdown menu. These are properties applied to the links in the main navigation dropdown menu. 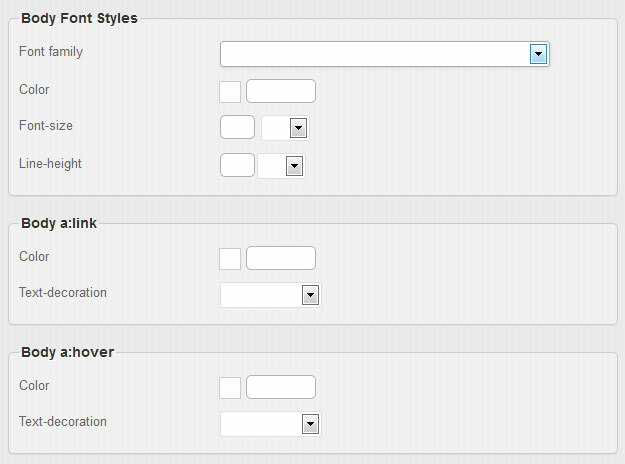 These are properties applied to the links in the main navigation dropdown menu when they are hovered over by the user. Properties present in the Header tab are covered in the Styling Properties section, using elements from Background, Fonts, Borders & Spacing, and Positioning. 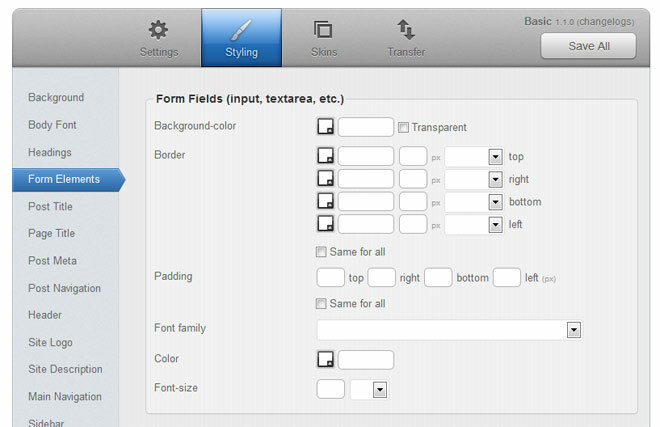 The Headings tab of the Styling panel is for applying styling to the various heading text styles in the theme which are used in post/page content and also inherited by elements such as post titles, page titles, etc. Headings are used when editing a post/page and also within the template wherever a heading tag is used, which means that some elements (such as post titles) will inheret some of the properties of the Headings tab. There are different sections in the headings section for each type of heading tag from h1 to h6 and each section includes various properties. 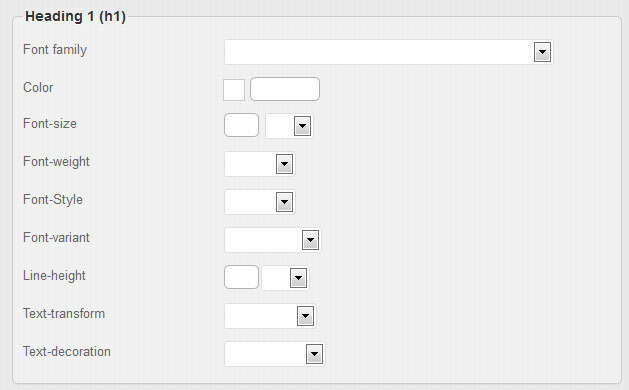 The Form Elements tab of the Styling panel is for applying styling to the various forms found on your site. These are properties applied to the form fields as standard. 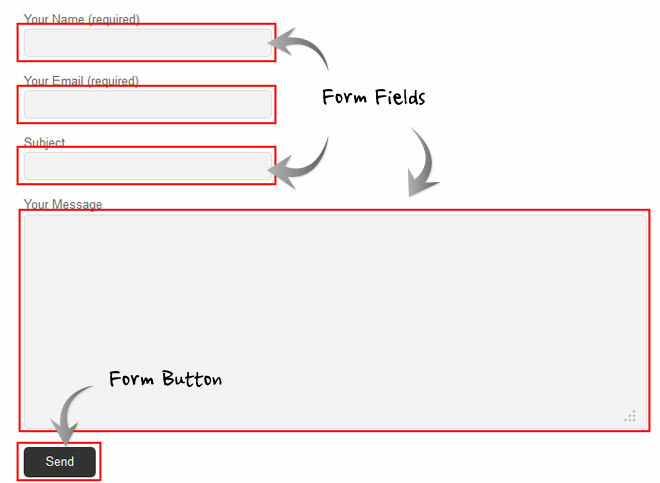 These are properties applied to the form fields when they are selected and have focus. These are properties applied to the form buttons (such as "Submit" or "Reset" buttons) as standard. These are properties applied to the form buttons when they are hovered over by the user. Properties present in the Form Elements tab are covered in the Styling Properties section, using elements from Background, Fonts, and Borders & Spacing. 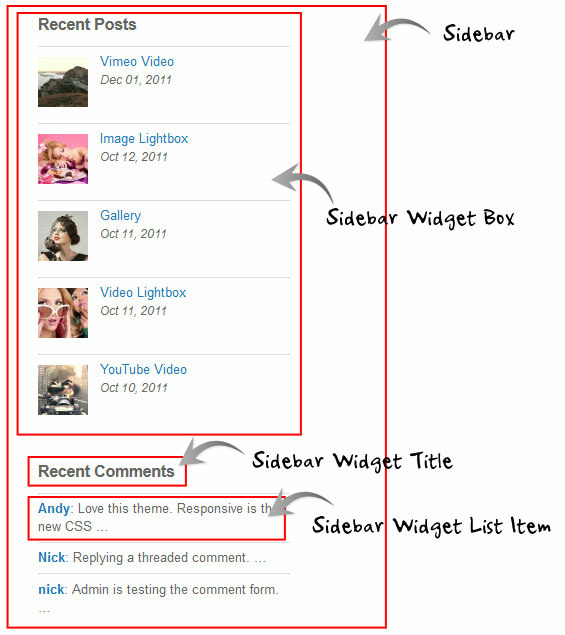 The Post Title tab of the Styling panel is for applying styling to the titles of blog posts on your site. Properties present in the Post Title tab are covered in the Styling Properties - Fonts section. The Page Title tab of the Styling panel is for applying styling to the titles of pages on your site. Properties present in the Page Title tab are covered in the Styling Properties - Fonts section. 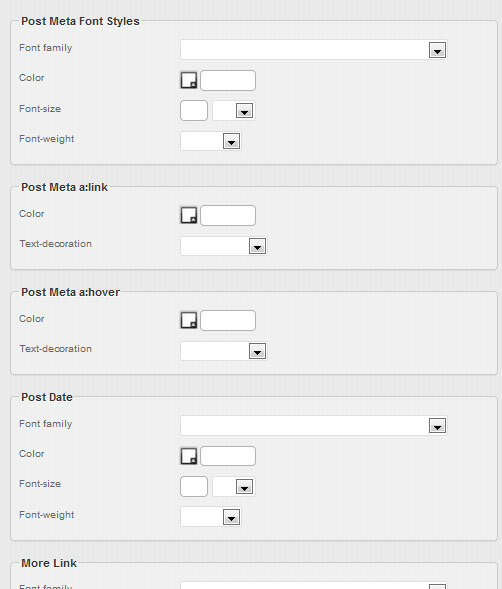 The Post Meta tab of the Styling panel is for applying styling to the meta information and post date of your blog posts. These are properties applied to the fonts used in the post meta elements. These are properties applied to post meta elements when a link is shown. These are properties applied to post meta elements when a link is hovered over by the user. These are properties applied to the post date elements. These are properties applied to the more link which can be shown on blog posts when using "Full Content" display mode or a custom excerpt. These are properties applied to the more link when it is hovered over by the user. Properties present in the Post Meta tab are covered in the Styling Properties section, using elements from Background, Fonts, and Borders & Spacing. 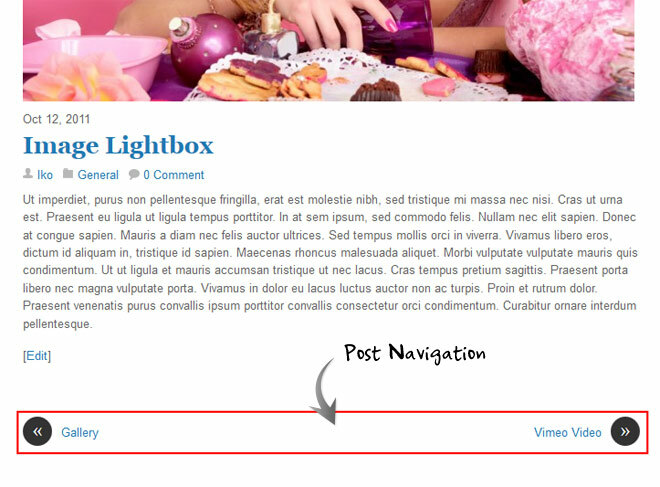 The Post Navigation tab of the Styling panel is for applying styling to the links which appear on your single post views. These are properties applied to the base post navigation area. These are properties applied to the links within the post navigation element. 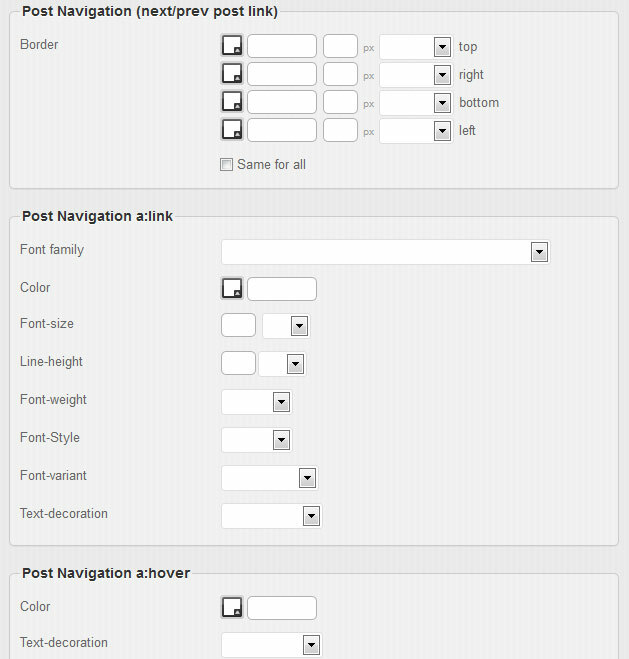 These are properties applied to the links within the post navigation element when they are hovered over by the user. Properties present in the Post Navigation tab are covered in the Styling Properties section, using elements from Fonts, and Borders & Spacing. The Sidebar tab of the Styling panel is for applying styling to the sidebar. These are properties applied to fonts in the sidebar element. These are properties applied to links in the sidebar element. These are properties applied to links in the sidebar element when they are hovered over by the user. 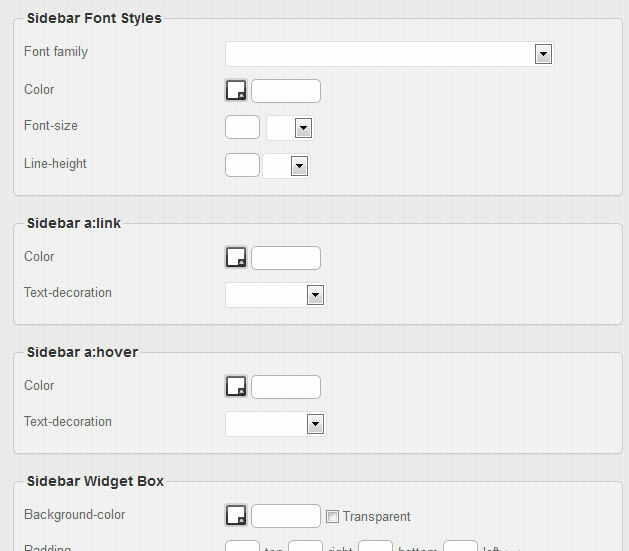 These are properties applied to the widget box areas in the sidebar. These are properties applied to the widget titles in the sidebar. These are properties applied to the widget list items in the sidebar. Properties present in the Sidebar tab are covered in the Styling Properties section, using elements from Background, Fonts, and Borders & Spacing. The Footer tab of the Styling panel is for applying styling to the footer. These are properties applied to fonts in the footer element. These are properties applied to links in the footer element. These are properties applied to links in the footer element when they are hovered over by the user. 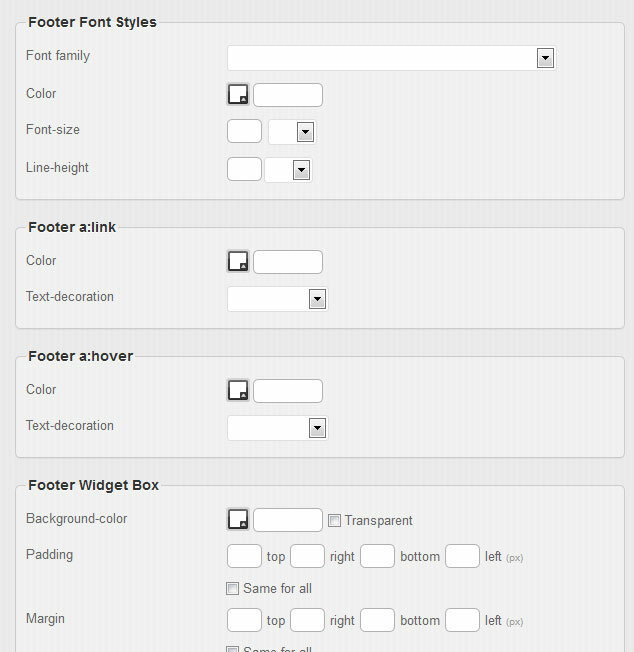 These are properties applied to the widget box areas in the footer. These are properties applied to the widget titles in the footer. These are properties applied to the widget list items in the footer. Properties present in the Footer tab are covered in the Styling Properties section, using elements from Background, Fonts, and Borders & Spacing. The Custom CSS tab of the Styling panel is for adding custom CSS code to the theme. In the text area provided you can add any CSS code you wish to apply to the theme, and this will be added after any other styling of the theme. Background Image: The background-image property sets an image for the background of an element. Background images can be set by either; selecting one of the already present backgrounds from the list of thumbnails, manually entering an image URL, or uploading an image. Checking "No BG image" will remove the background image. Background Color: The background-color property sets a color for the background of an element. You can set a background color here as well, you can either manually enter a color code, or alternatively click the box next to the field and a color picker will appear. Background Repeat: The background-repeat property sets if/how a background image will be repeated. Repeat = The background image will be repeated both vertically and horizontally. Background Position: You can set the position of the background image, this will determine where the background image begins - for example, setting it to right center would start the background image from the right of the element vertically centered. Font Family: The font-family property sets the font for an element. Use the dropdown menu to select a font family for the text element from a list of standard fonts. Color: The color property sets the color of text for an element. You can specify the color by either by entering a color code manually or clicking the box next to the field to open a color picker. Font Weight: The font-weight property sets whether text is normal or bold. Font Style: The font-style property sets whether text is normal or italic. Font Variant: The font-variant property specifies whether or not a text should be displayed in a small-caps font. Text Transform: The text-transform property controls the capitalization of text. Text Decoration: The text-decoration property specifies the decoration added to text. Border: Use the fields to set the color, size and style of the border on each side of an element, you can set color by entering a color code manually or clicking the box next to the field to open a color picker. Select 'Same for all' to reduce options to one setting for all sides. Margin: Margin defines the space around elements. Use the fields to set the margin amount for each side of an element. Select 'Same for all' to reduce options to one setting for all sides. 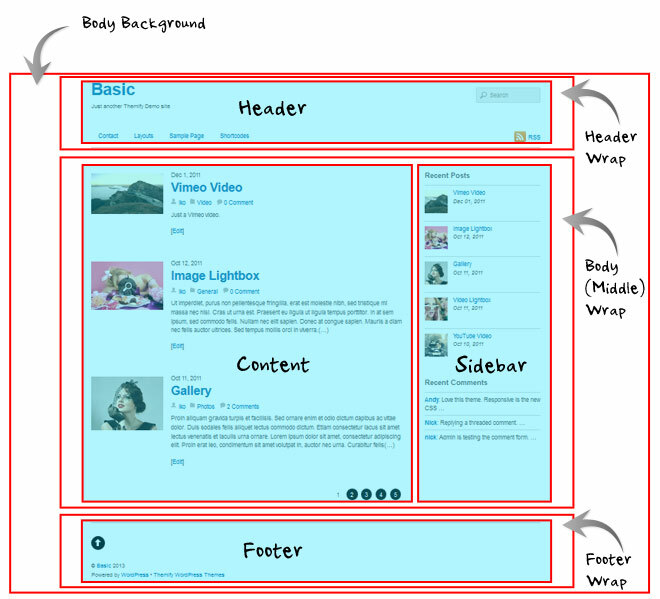 Padding: Padding defines the space between the element border and the element content. Use the fields to set the padding amount for each side of an element. Select 'Same for all' to reduce options to one setting for all sides. Position: You can set the position of an element. Static = Positions the element where it is placed within the normal flow of the layout. Fixed = Positions the element at a set position, as set below in pixels from a side of the element (top/bottom, left/right), and it will remain here even when the page is scrolled. Relative = Positions the element at a position relative to its normal position. Absolute = Positions the element at a position, as set below in pixels from a side of the element (top/bottom, left/right), relative to the first non-static parent element. Site Title = This will output the site's title in the site logo element. Image = This will output an image in the site logo element. 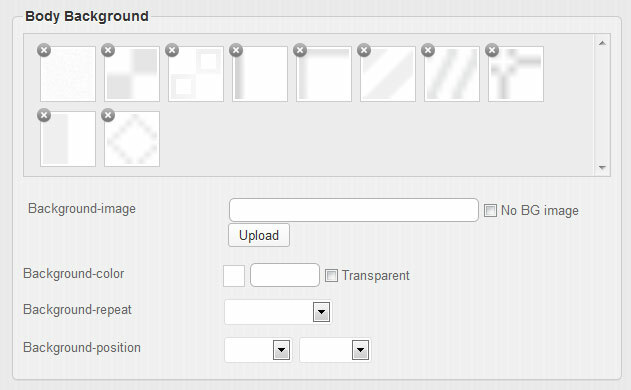 You can select "Upload" to upload an image or enter the URL manually, and also set the dimensions of your logo here.